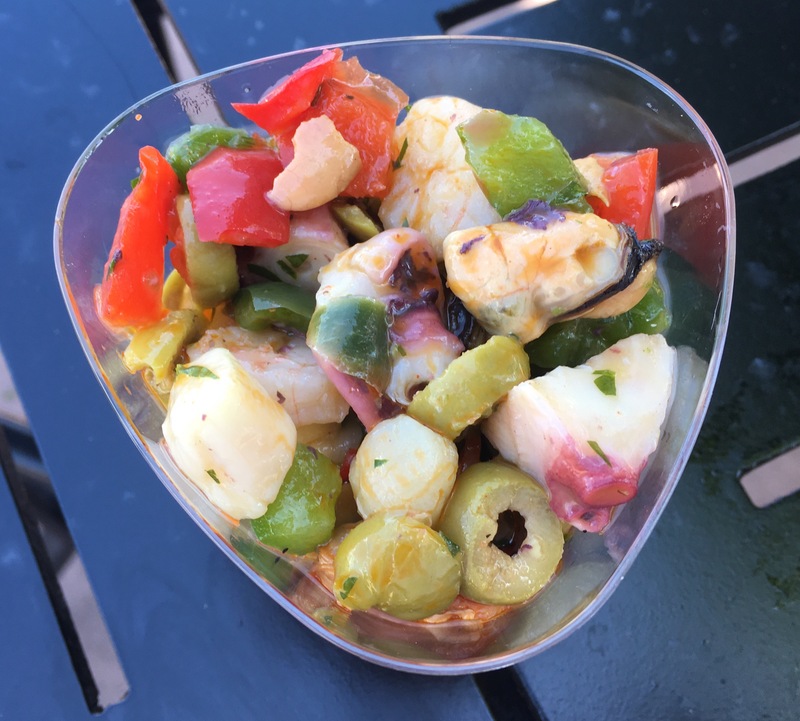 Food & Wine ’17 “Flash Report”: Seafood Salad – Spain | It's "All in WDW"
Folks, if you like seafood and olive oil, Spain’s ‘salad’ might be the dish for you. Look at it! 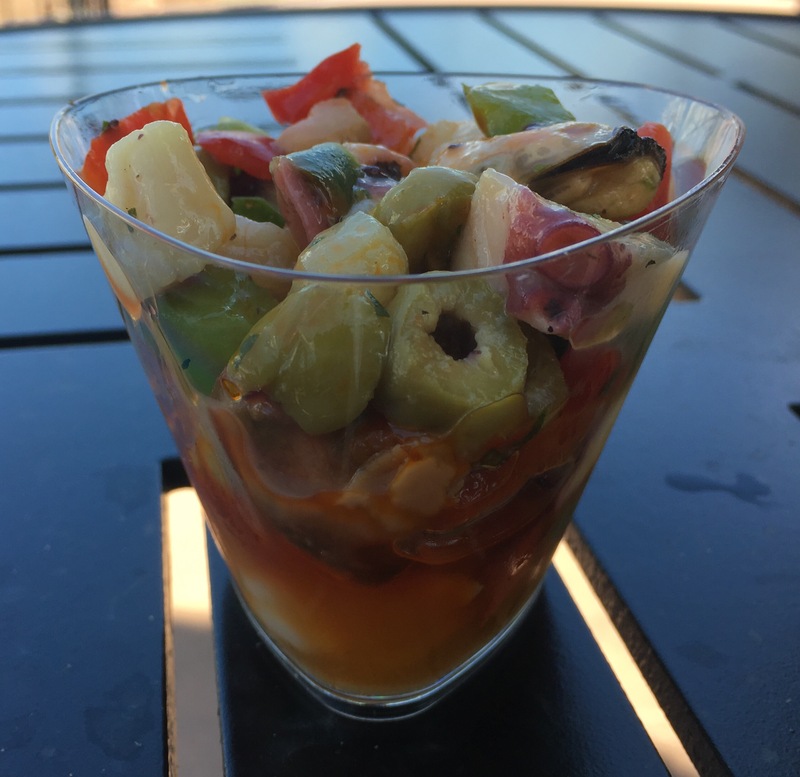 This Seafood Salad is loaded! Mussels, scallops, octopus. Green olives and olive oil. It has it all! Truthfully, I thought it could use a bit of saltiness, but that’s just me. It was a really good bite!